Each year at International Convention, the Aleph Zadik Aleph and B'nai B'rith Girls elect a new Grand and International Board to lead our Movement forward. The elections process is a sacred tradition of our Order, and one of our oldest. Explore the portal to learn about the process for electing Alephs and B'nai B'rith Girls to this highly esteemed office. You may work proactively, ahead of the timeline outlined below. Please note that you may not have any calls or submit paperwork without finishing the call and/or paperwork that is required ahead of it, so be mindful and intentional in your scheduling. If you work ahead without completing the previous steps, your work and effort will not count as valid completion of the process. Please do not hesitate to contact Mason, Noga, or a member of the AZA & BBG Team should you have any questions. All deadlines, forms and submissions are due on the due date by 11:59 PM in your respective time zone through the 95/75 International Board Elections Portal. Please closely review the Officer Responsibilities for AZA Grand Board and BBG International Board. To declare for Grand or International Board, you must complete the form of intended candidacy. Please know that all information will be kept confidential. This step should help you better assess whether this leadership opportunity is a good fit. This process should also help you further develop your vision for the position that you seek. Should this step prove to be a challenging one, please reflect on what that means for you as you move forward. You must have your self-evaluation answers submitted no less than 48 hours prior to your Gaining Perspective call. If it is not received at least 48 hours prior to your call, you will need to schedule another Gaining Perspective Call. Before you run for Office, it is important to really understand the role and life of an International Board member. The best way to understand that role is to gain perspective from the International Board member currently holding the office you desire. The current sitting officer will be prepared to answer any questions you might have and will review your Self-Evaluation to prepare their own questions. If you are caucusing for more than one position, you must have a call for every position. This call must be scheduled and held by the deadline. Please email the I-Board member to schedule a time. You can find their contact information here. This call should not happen before you have completed your Self-Evaluation Survey and all prior steps. Note that Mason and Noga are currently on community visits in Europe and their access and availability will be more limited than usual. Please be proactive about scheduling calls with all members of the 94th and 74th International Boards, but especially your N'siah and Godol. It is important to realize that running for Grand or International Board is not just about an individual candidate and their desired choices. This is about what you can bring to the position, the impact (positive or negative) it can have on your community, and learning from the experiences that have been a part of your BBYO journey thus far. To move forward in the process, you must meet (in person or virtually) with a BBYO Professional from your community and they must endorse your candidacy. It is your job as the candidate to make sure this happens. Their decision to approve or deny candidacy will be based off of a conversation with you, the candidate, as well as their knowledge and experience with your demonstrated capacity and work ethic. This conversation should not happen before you have completed your Gaining Perspective Call and all prior steps. We’re all on the same team at the end — we want what’s best for the Movement, what’s best for AZA and BBG in your community, and most of all, what’s best for you. On this call, Mason or Noga will review your self-evaluation survey with you and push you to think bigger, challenge your understanding of what AZA and BBG international leadership is about, and confirm that you are ready to move forward. This call should not happen before you have received Staff Endorsement and all prior steps. Be prepared to answer challenging and personally reflective questions. Please realize that after speaking with us, you may question your desire to run. That is the point of these calls. Don’t take it personally. Again, I-Board is not for everyone. However, after speaking with us, you might also realize that you are meant for Grand/International Board. Upon receiving written confirmation from Mason or Noga that they recommend you continue in the declaration process following your Interview Call, you must fill out the Commitment Form. This form may not be filled out until you have received an email from Mason or Noga recommending your continuation in the process. Candidates for Grand Aleph Godol or International N’siah must schedule a call with a member of the AZA & BBG Staff Team and their family. This is a time for your parents/guardians to ask questions of the team who works with and directly supports the International Board. This call will be with a member of the team, the candidate, and their family. Please email to schedule this call. Families and candidates who are aspiring for all other positions must join one of the webinars listed below. Links to join the webinars will be made available to candidates after the completion of their GAG/I-N’siah Interview Call and Commitment Form. Attendance on webinars will be confidential to all participants. 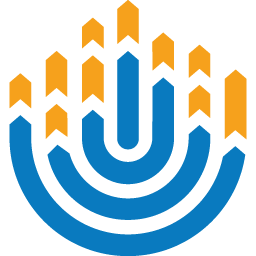 The webinar or the call will clarify what the rest of the election process will be, what the role of a Grand/International Board Member looks like on a day-to-day basis, and make sure that BBYO and your family are able to support you in this role. If there are concerns about any individual candidate’s candidacy, there may be an ask for an individual family call, in addition to attendance on the webinar. Following this call and/or attendance on a webinar, your parents/guardians must complete the Family Acknowledgement Form. This call should not happen before the GAG/I-N’siah Interview Call and the Family Acknowledgement Form should not be completed until after the family webinar/call.You must attend a webinar or schedule and have your family call before the deadline. Your Priority Paper is your opportunity to paint a picture for the voting body of the movement that you’d work to build for AZA and BBG if elected. Demonstrating an understanding of the role you’ve declared for and the priorities that you’re responsible for as a result is vital. It’s important that you have a firm grasp of the Movement’s needs, what you hope the Movement will look like in the future, and how to move between those two points should you have the chance to lead. You can review the Priority Paper prompts here. Your Priority Paper will be posted ahead of Convention for members worldwide to review and submit questions for Elections ahead of time. You’ll need to record a video of your qualifications for the voting body to watch at International Convention. Your Qualifications Video will be posted ahead of Convention for members worldwide to review and submit questions for Elections ahead of time. You may not feature anyone else in your video – this means in voice, video or physical presence. This includes photos of Alephs and BBGs that you may be showing on screen. You are not permitted to share your video (publicly or privately) unless given explicit instruction to do so. This video should not include any ideas you have for your position – qualifications only. You must be the one who builds this video. You may have an individual who is not currently a member of AZA or BBG assist only in the filming of this video. They may not provide creative direction or edit footage for you. The purpose of this video is to articulate your qualifications and communicate your personality. Please submit your name as you’d like it to be shown on your Candidacy + Election Materials and upload a high-resolution, clear headshot. You should be the only one in the picture and it should be from the shoulders up. This will be posted with your Candidacy + Election Materials online and at IC. Your vision statement is your opportunity to rally the Movement around the way you’ll mobilize AZA and BBG if elected. Your vision statement will be put on display. Responses are limited to 500 words. Prompt: BBYO is the world’s largest Jewish pluralistic youth movement—with that platform, there is both incredible opportunity and significant responsibility. As the Movement continues to grow, so does the audience that we have to engage in meaningful and formative Jewish experiences. What does leading the Grand and International Boards mean for the future of the Jewish people? How will you move the organization forward? Give us your rally call. All declared candidates are allowed to distribute a PRE-APPROVED platform during their “Meet the Candidates” session. All candidates must submit their platforms NO LATER than February 7th. Should platforms not be received by this date, you will NOT be allowed to use your platform/run at International Convention. Your platform will be sent in to confirm that everything is factual and fits the standards set out in this packet. We are not responsible for any spelling errors, grammar mistakes – those are your edits to make! All platforms must be approved again during the first Candidates Meeting at IC. If the platform a candidate brings to IC is NOT the platform received and approved by Mason and/or Noga, that candidate will NOT be able to use it. Obviously, if a candidate was asked to make changes, and those changes were made, their platform may be distributed. Please read the following guidelines very carefully, and do not hesitate to ask any questions. If any changes have to be made, you will need time to correct them before IC. It is suggested that platforms are submitted as early as possible. Your platform may be posted ahead of Convention for members worldwide to review and submit questions for Elections ahead of time. Don’t leave it for the last minute - you should not print off all of your platforms until they have been approved by Mason or Noga and you have been informed of the total quantity needed. Previous positions held must be listed and there must be at least one line explaining accomplishments under each position. You must indicate the length of terms (6 months or year). Platforms will be collected at the first Candidates Meeting at IC. Only black ink is permitted. Platforms with any other ink color, including the signature, will not be distributed at elections. Adhesives (glue, tape, staples, etc.) are not permitted. Platform paper size may not exceed 8.5 x 11 inches and you may cover both sides. Platform must be on plain white paper. You cannot use glossy paper or cardstock. Stickers are not permitted on platforms. Please remember, under no circumstances is it permissible to hand out anything besides your platform during the elections process. All candidates are expected to be on their best behavior throughout the entire convention. No politicking will be allowed. Candidates are held to all of the expectations and guidelines outlined on this page. Additional details on Election Day will be given once the candidate pool is confirmed. Please check back often for updates and additions to the experience. Follow #BBYOElects, #AZAElections, and #BBGElections during International Convention for candidate information and results.Below, you’ll find expectations of candidates and opportunities for all members to engage with the elections process. Prior to elections at IC, there will be two Candidate Meetings. It is mandatory that declared candidates be in attendance. Elections procedures will be reviewed and any last-minute questions will be answered. These will take place on Thursday, February 14th and Saturday, February 16th. A Candidates Declaration Board will be hung at the Election Centers at IC. All declared candidates must sign the Declaration Boards at the Candidate Meeting on Thursday, February 14th. Candidates’ Priority Papers (and Vision Statements for Godol and N’siah Candidates) will be posted online and at the Election Centers at IC. Although you are free to wear whatever you choose, candidates are encouraged to wear business attire for elections. Voting delegate totals and election delegation information will be shared on this page closer to International Convention. Candidates will receive the 6 potential pitch topics on January 31st, 2019. All members of AZA & BBG are welcome to submit a pitch proposal by January 23rd, 2019. Candidates for Grand Aleph Godol and International N’siah will have a maximum of 5 minutes for their Godol/N’siah speech and candidates aspiring for all other positions will have a maximum of 4 minutes for their speech. It is strongly recommended that speeches contain concrete and well-researched visions and priorities for your potential term, as well as rallying calls that inspire the Movement. Do some learning and prepping to make sure you’re using your time wisely. After all candidates have completed Meet the Candidates and their Speech, the body will vote using electronic clickers and the elected candidate will be announced. The body will then move on to elect the next position.